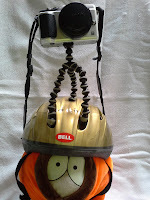 The Tripod Helmet (third option above) was definitively ruled out since it was not very usable under real life circumstances. 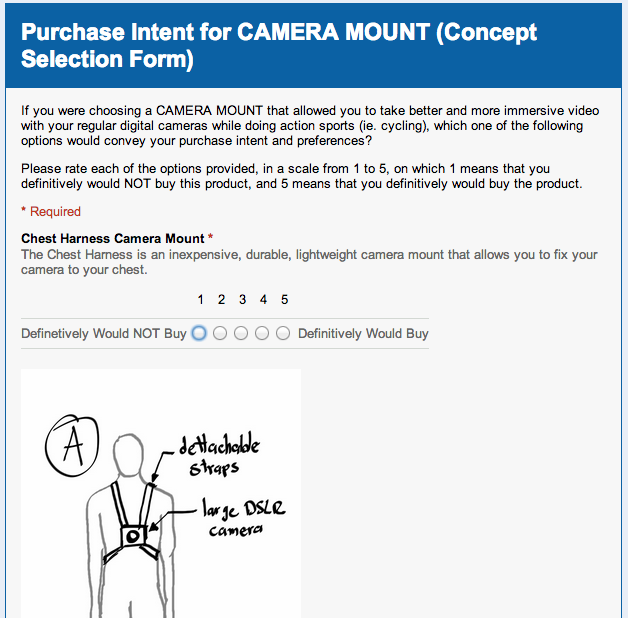 So, I preselected only two of the concepts to evaluate and using a survey that was completed by 13 potential buyers. The user selection process will be described further down in the post. 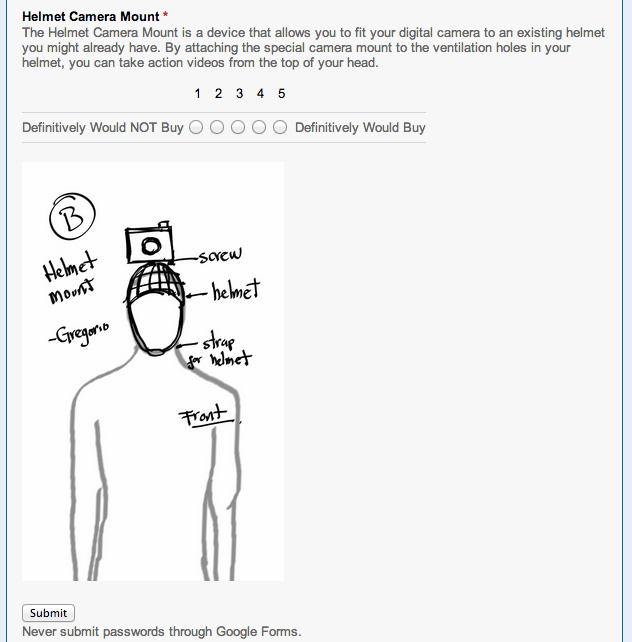 At the conclusion of the user selection process, most users chose option A. 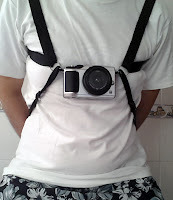 CHEST HARNESS as the most viable product (please see next rubric below). 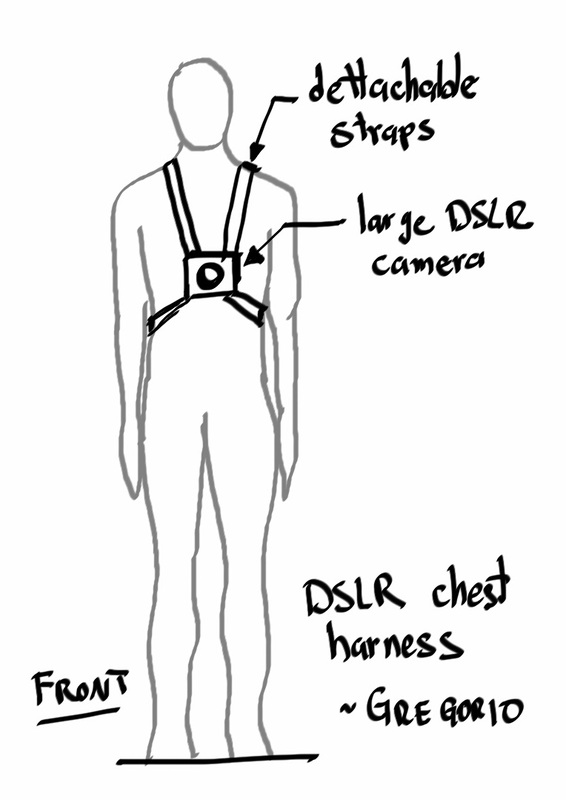 Here is the improved sketch on the CHEST HARNESS concept, that include the new ideas. I decided to create an online survey in order to understand what users really thought about the prototypes and if the potential buyers would actually buy the product. The online survey was thought as the optimal method to quickly invite and get information from potential users and buyers. 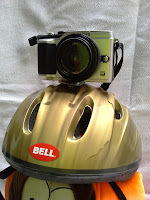 I contacted several friends that like to do action sports (mostly cycling) and also a local club, and asked them if they could help out filling the form. You can find the original user selection form by clicking on this link. Below you will find several screenshots of the survey form and also from the results. From around 25 persons that were contacted, 13 filled the form during the week. Below you will see graphs that simplify the results. 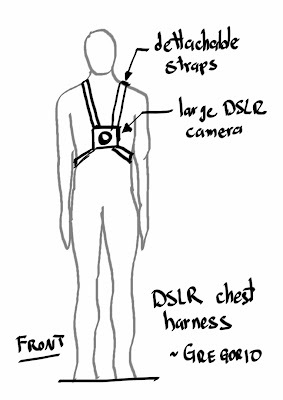 As you can see from the graphs of the results, the preferred concept was the CHEST HARNESS camera mount, a.k.a. option A. 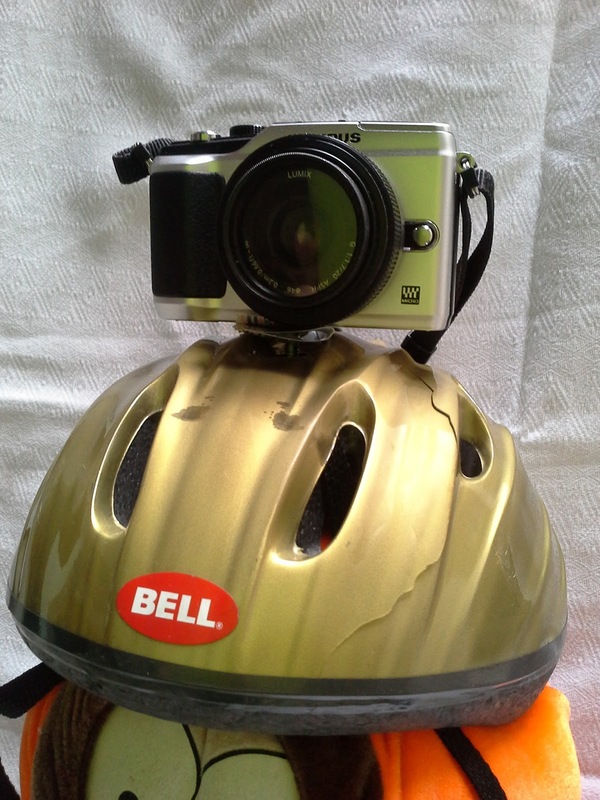 When biking, the mount should have some kind of way to position the camera angle or tilt position (ie. different bike geometries... aggressive riders ride almost paralel to the road and leisurely riders have an almost vertical riding position). It should be ultra safe for the cameras that are attached, meaning that they should not fall easily. 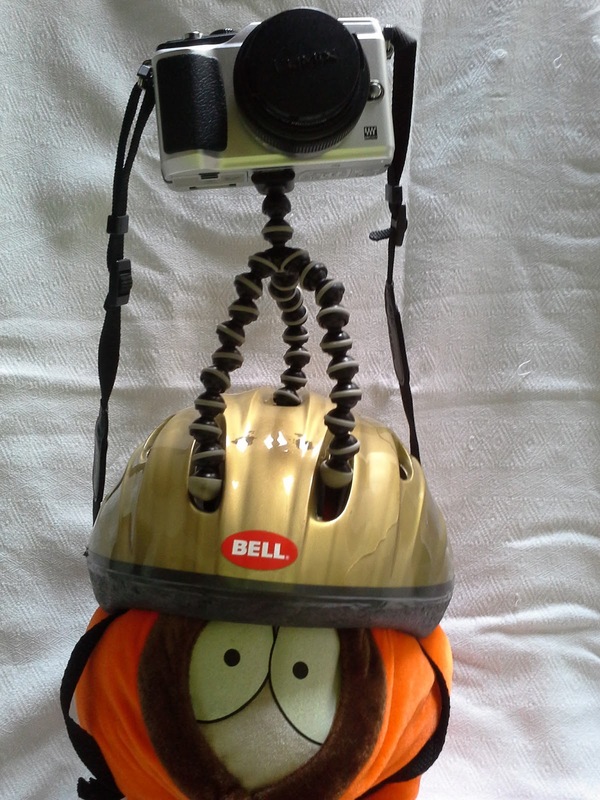 Some are worried on the vibration, but after trying the mounts out, the chest harness is the way video get least vibration (compared to the helmet mount, for example).